Mr. Simpson has been teaching for the Division of Adult and Career Education since 1979. He has taught in individualized instruction labs, as well as teacher directed classes in adult basic education. During his tenure, he has successfully assisted hundreds of students complete the requirements for their high school diploma. He has demonstrated to be knowledgeable, patient, and sensitive in working with diverse student populations. In essence, he has maintained a positive impact on student learning throughout his career. Mr. Simpson is enthusiastic, cheerful, and an effective collaborator. He is particularly compassionate with, and committed to students and their educational goal. He demonstrates attention to detail, eagerly seeks and fulfills new responsibilities, consistently strives for self-improvement and takes the lead in school activities and professional growth opportunities. 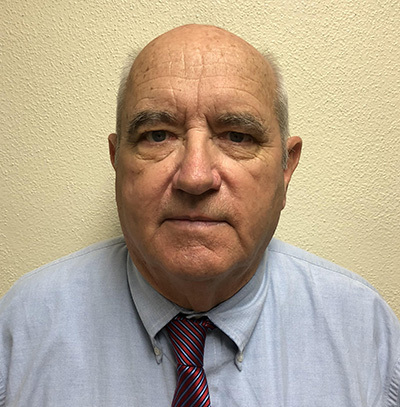 Over the past 38 years, Mr. Simpson has attended various CCAE conferences and events, and has been a member for over 25 years. He has volunteered in several CCAE conferences and events. He has an exemplary work ethic. He has displayed excellence in his service and contributions to adult education.